“The majestic rocks off Northern California's coast dominate the shore, slightly beyond the physical reach, but not the imagination, of humans.” So says Annie Reid, curator of an exhibit at the Westhaven Center for the Arts titled "Sea Stack Survey of the North Coast." The display running until the end of August showcases the work of 16 artists focusing on the rocks that lie off our coastline. When Annie was asked to assemble a show for the WCA, the sea stacks seemed an obvious theme. “The rocks define our coast and represent our whole community,” she says. They are also a part of her own history, as she grew up along the Pacific Coast and remembers her grandfather painting the rocks of the Carmel coastline. In many ways Annie endeavored, and succeeded, in making this exhibit something that took in multiple perspectives, starting with the artists. The work represents a carefully selected cross section of artists, genders, ages, mediums and styles. Lyn Risling's paintings tell of the role of the rocks in her culture. Gus Clark's wildly colorful fish contrast with the misty realism of Kathy O'Leary or Jim McVicker. There are photographs, prints, sculpture, a wall hanging made from ocean rock, pages from one of Jerry Martien's chapbooks of poetry. 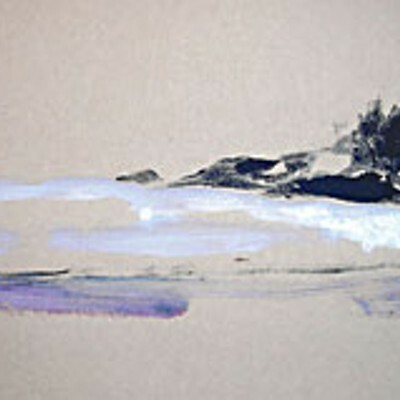 I hesitate to draw a favorite from the wonderfully diverse collection, but I was especially drawn to the elegant simplicity of Libby George's monoprint of crashing waves and silhouetted shoreline. The enthusiasm that Annie was met with when she asked artists to participate is telling. It's a theme that many are drawn to. 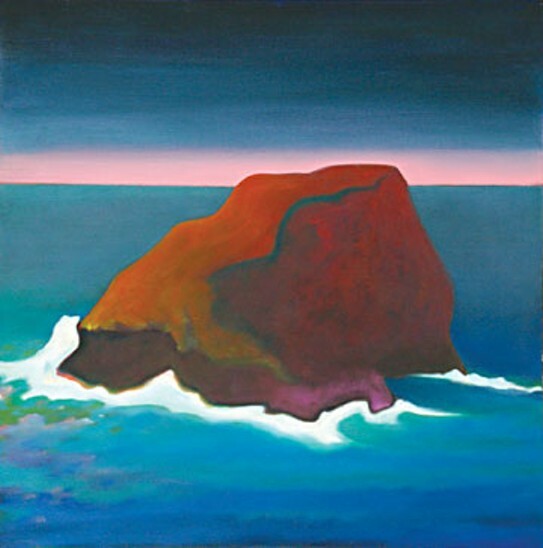 And when Liz Pierson of the Ingrid Nickelsen Trust heard about the exhibit, she donated Ingrid's painting of Yulpits, the “pilot rock” off Trinidad Head, to the WCA for the show. The piece will be sold by silent auction with proceeds going to the Center. But artists are not the only people interested in the sea stacks. In January of 2000, a presidential proclamation created the California Coastal National Monument (CCNM) for the protection of the more than 20,000 small islands, rocks and reefs along the shore. This branch of the Bureau of Land Management works with various community agencies to protect and educate the public about the rocks and the wildlife that depend on them. So when Rick Hanks, National Monument Manager of the CCNM, heard about the sea stacks exhibit, he wanted to see it for himself. He got in touch with Annie Reid and arranged a visit. He was eloquent about the role of art in his work. “How do you get a better appreciation for the environment that you're trying to manage than through art?” he asks. Rick knows these rocks intimately and is filled with facts and figures about them and their ecosystems, but he knows that it's the photographs and the paintings that bring the rocks to life for people. The WCA sees its role much more broadly than the exhibition of art. 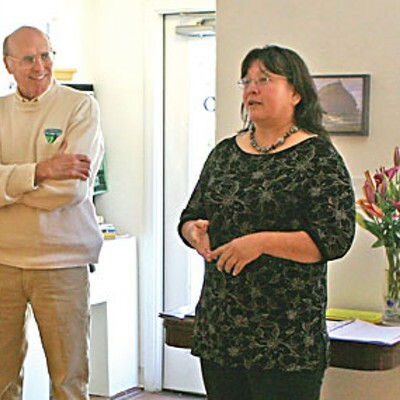 They see themselves as a community center and aim to involve people directly in the arts. Thus, there are four events as part of this exhibit bringing added dimension to the sea stacks and the artwork they inspired. One has already passed: On Tuesday, Aug. 12, More than Just a Scenic Backdrop was scheduled to have BLM biologist and photographer Bob Wick presenting slides of photographs he has taken in his work with the CCNM. Places like the sea stacks that are just out of our reach are easily dismissed as scenery, but Bob's photography brings us up close to look at the wildlife that thrives there. The wildlife biologists encourage us not to visit the islands because of the damage we can so easily do to these fragile eco-systems, but through Bob's photography, we can get up close and personal with them. On Sunday, Aug. 17, at 6:30 p.m. WCA artist-in-residence Annie Reid will lead a tour of the exhibit and present a slide show of coastal works by Ingrid Nickelsen. This is a unique opportunity, as Annie has been a part of the local arts community for over 30 years, and is very familiar with many of the artists in the show. Annie was also a very dear friend of Ingrid's. If you are familiar with Ingrid's captivating work and the moving story of her life and death, you will want to hear more about her and see the work of this remarkable woman. Shortly after is an interpretive sea stack walk with BLM wildlife biologist Arlene Kosic. Meet at 12:30 at WCA to carpool to Trinidad. The first half of this walk requires a precaution: It takes you down to Old Home Beach using steep, uneven stairs with some unstable footing. If you'd like to skip that part, you can join the group for the second half of the walk at 1:45 at the Trinidad Lighthouse, where the journey continues on to Trinidad Head. You'll have views of Camel Rock, Flatiron Rock and Pewetole Island as Arlene points out birds and marine mammals of Trinidad's shoreline. She'll also set up some spotting scopes for close-up viewing. Please note that, even if you opt for the stairless second half of the walk, you should be prepared for a vigorous walk, wear sturdy shoes, and (remember, this is Humboldt County folks) gear for damp, cold coastal weather. That's the line up for the month, and as you look at the work and the sea stacks themselves, keep something in mind: In mid-July, President Bush lifted a ban on offshore oil drilling, and urged Congress to repeal the federal law passed in 1981 that is now the only thing standing in the way of new offshore oil rigs. “There is no excuse for delay,” Bush told Congress. Indeed, delay would give us time to think about what we might be giving up if we allow oil rigs on our coast. 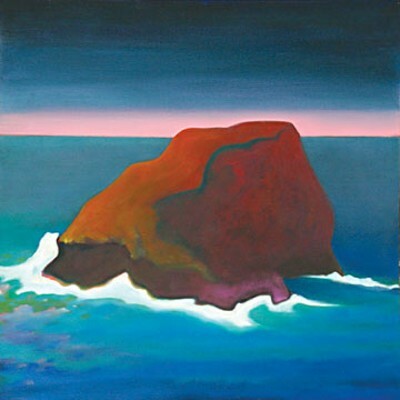 The Sea Stacks exhibit runs through Aug. 31. WCA hours are Thursday through Sunday, 1-4 p.m. Call them at 677-9493. Send your art news (six weeks in advance) to katherinealmy@northcoastjournal.com or write in care of the Journal at 145 South G Street, Suite A, Arcata, Calif., 95521.